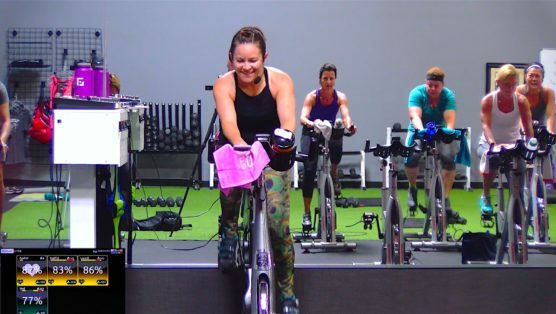 Warm it up and then crank that resistance because this short, but sweet, 20 Minute Spin Workout is all about keeping a steady and strong pace. Expect 4 fat frying drills where you’ll climb to a heavy tempo, challenge your legs and lungs with your race pace, power push with gear loading, and then finish it all off with a 4 minute ride that’ll surely test and improve your endurance. The energy in this Spin & Stretch class (which was taken live by tons of SSoDers around the world) is so amazing and fun. 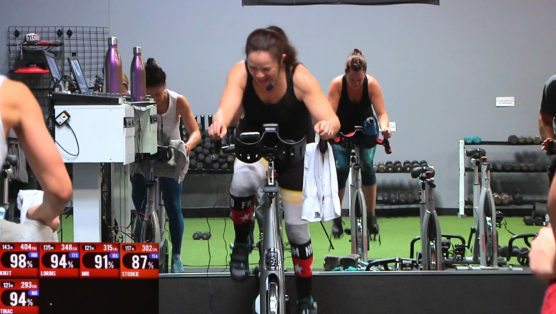 It’s a tempo-driven ride, where you’ll love the feeling of your legs moving to the beat, the power of the climbs, and the challenge of the perfectly timed accelerations. So grab your water bottle and towel or two, because you’re going to need them. 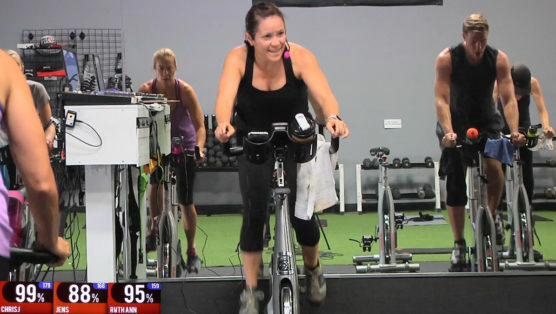 This is one non-stop, high-energy, 30-minute Spin class. After a quick warm-up, it’s straight to sprints on an incline before you’ll be asked to find your rhythm, because we’re gonna march those legs to the beat until the sweat starts to pour. Wanna know what the cherry on the top is? A Tabata Drill on a Hill. Boom – now that is poetry at its best. Let’s play! 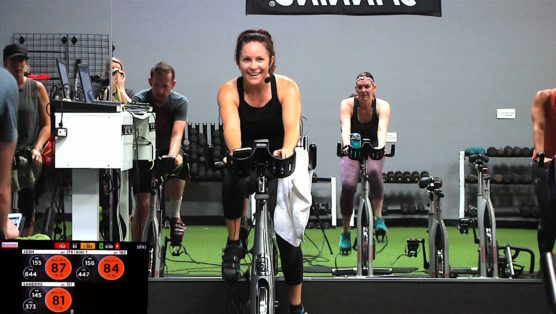 Get ready for an awesome Spin class with some heart-pumping hills and drills comin’ at ya. We’ll start the climb with 4 hills of varying grades, challenging our gears and cadence along the way. We then hang out and push through the resistance we created. Oh, after conquering each hill, we head down the backside, eager to take on the next. A moment to re-fuel if you will, and you will. For a “fun” top of the mountain break, expect a quick dismount for a full mid-section attack before we’re back on the bike for a few more fast-paced drills, in and out of the saddle. Enjoy the ride y’all!